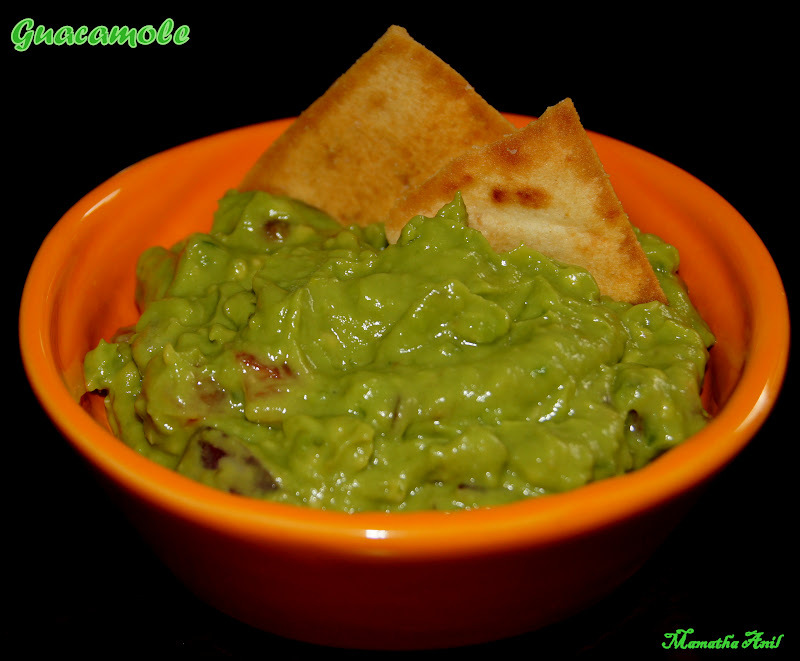 Guacamole is a Mexican avocado﻿ based sauce. Easy to make, tastes great and one of my favorite too. 1. Take the pulp of Avocado in a blender, add chopped green chillies and lemon juice. Mix together. 2. Transfer into a bowl, add sugar. Add chopped tomatoes and onion. Mix well and serve with Tortilla or Pita chips.